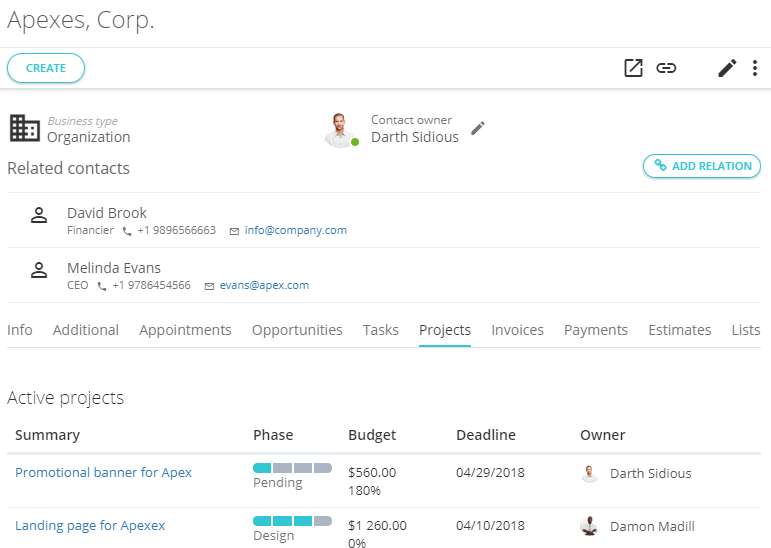 The CRM application contains tools for managing opportunities and keeps the whole account history - opportunities, events, tasks, invoices, acts, projects and so on. The account card is the main tool of the manager. Here, in a couple clicks he can view information and add a new one. Even if the manager leaves, the new employee will be able to start working with the client exactly from the moment at which the work was interrupted. In this section, we tell you how to set up a sales funnel, automatically create deals, and work with the account card.